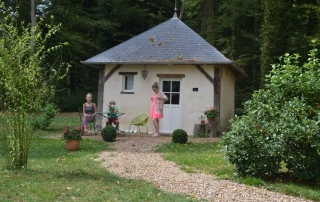 The maisonnettes are located around the main buliding of the hotel. 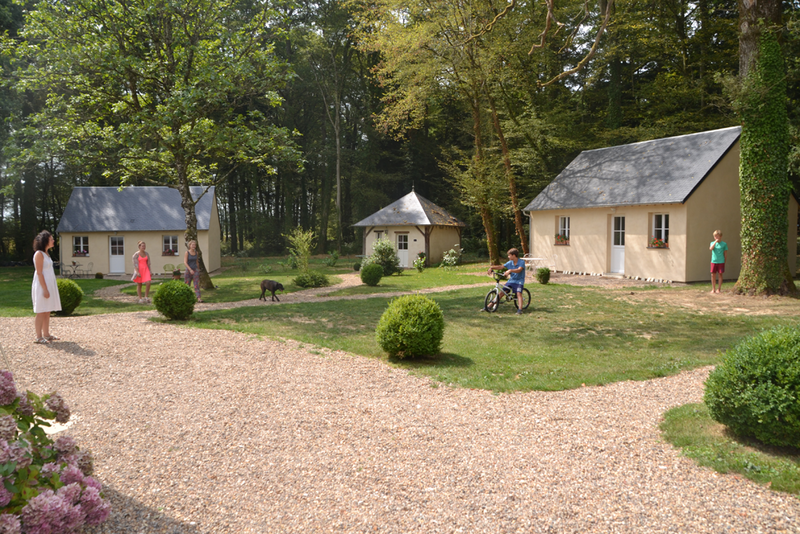 They are ideal for families as they are independant and give direct access to outdoors; the swimming pool, volley ball, badminton, football. 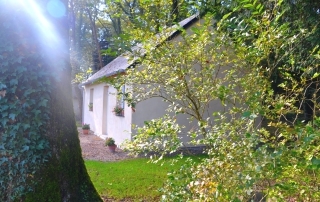 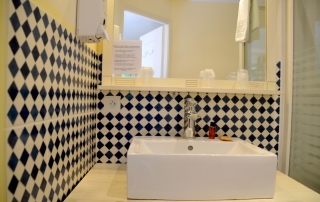 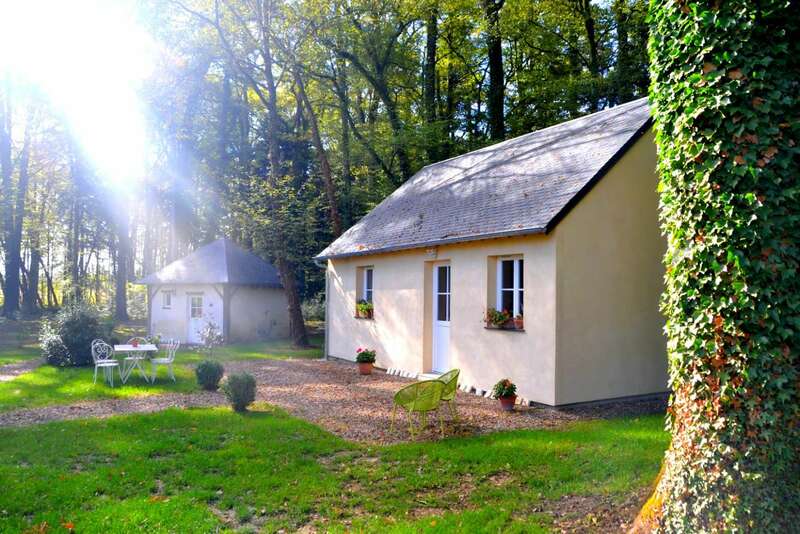 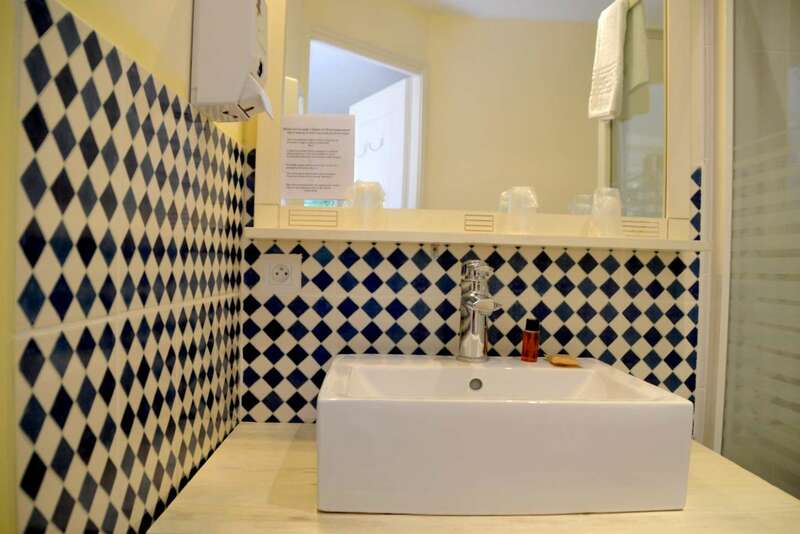 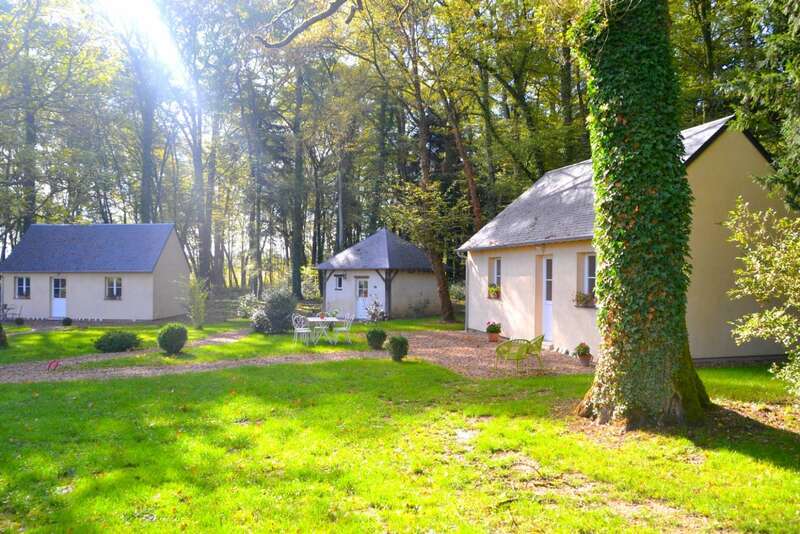 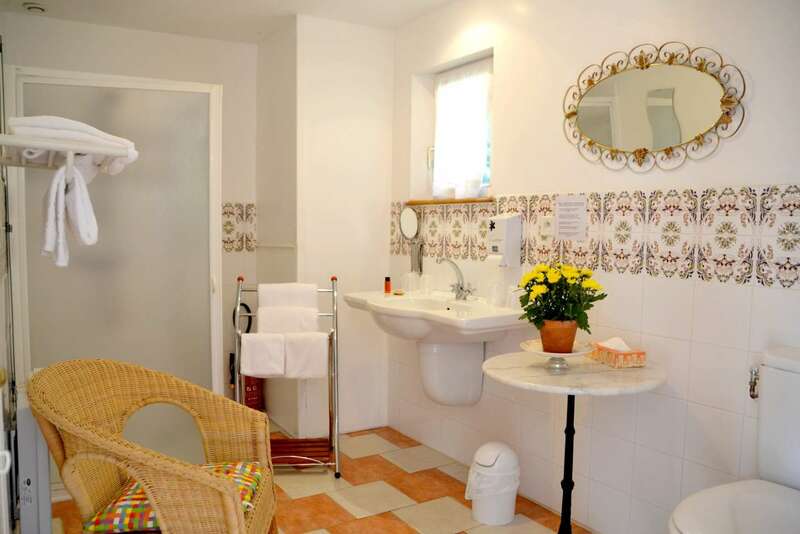 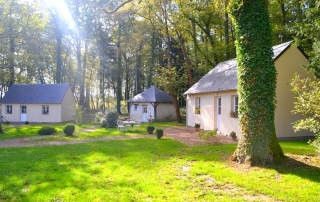 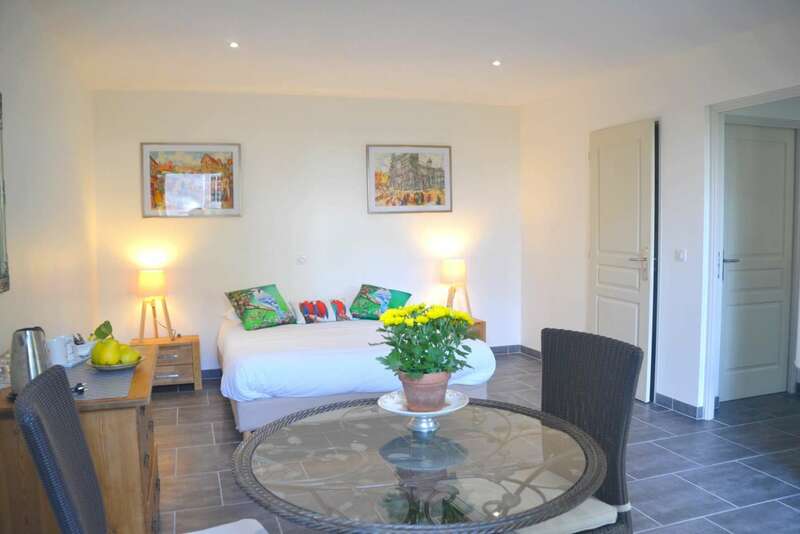 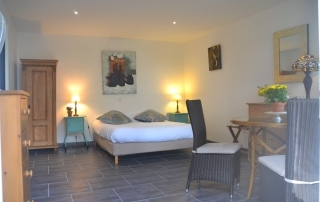 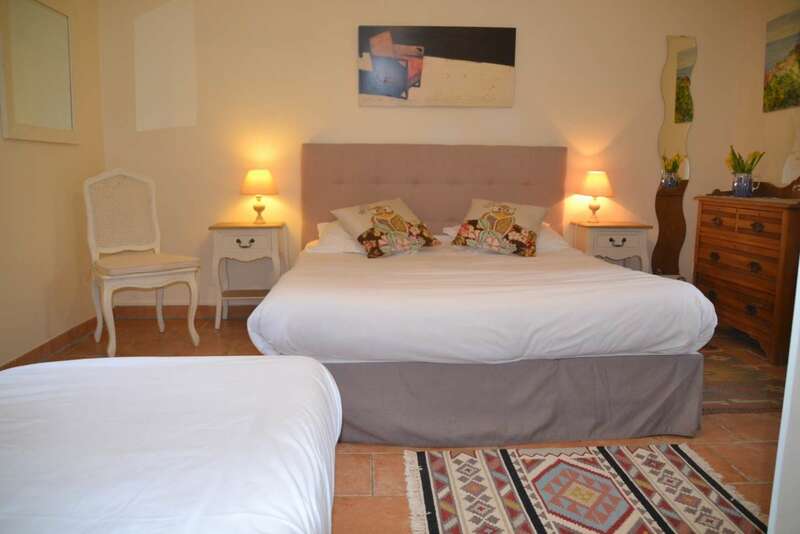 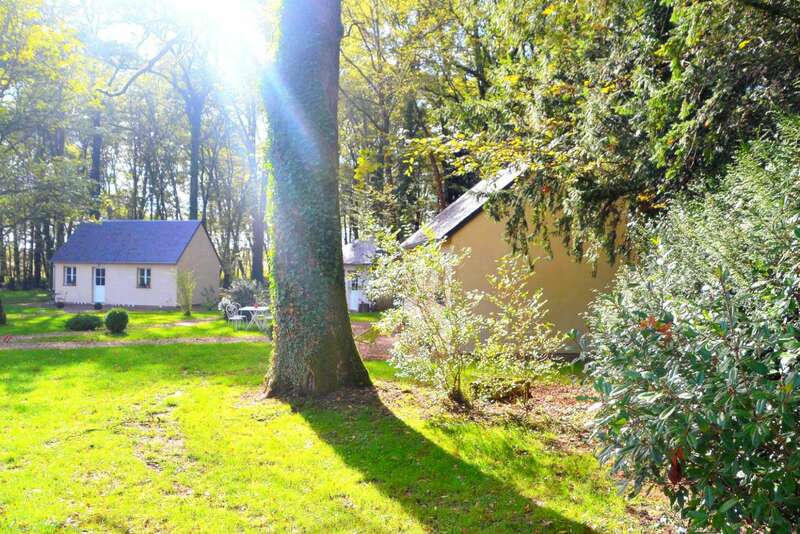 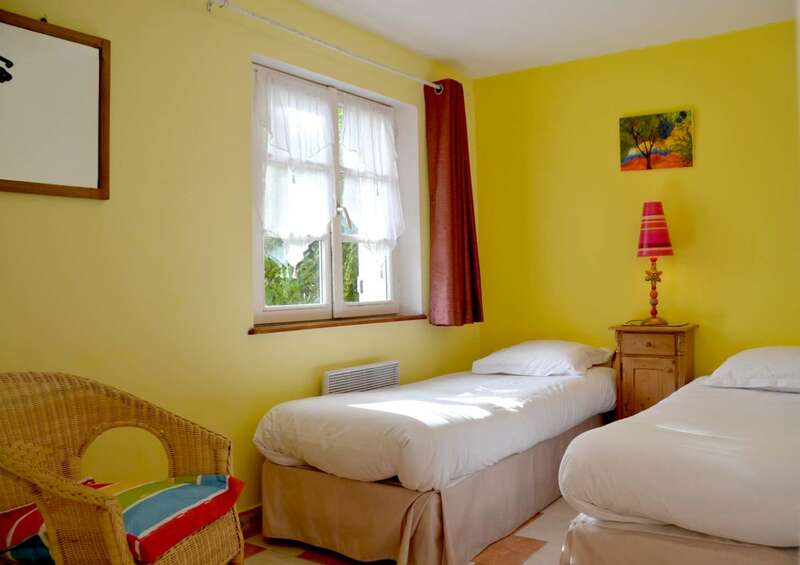 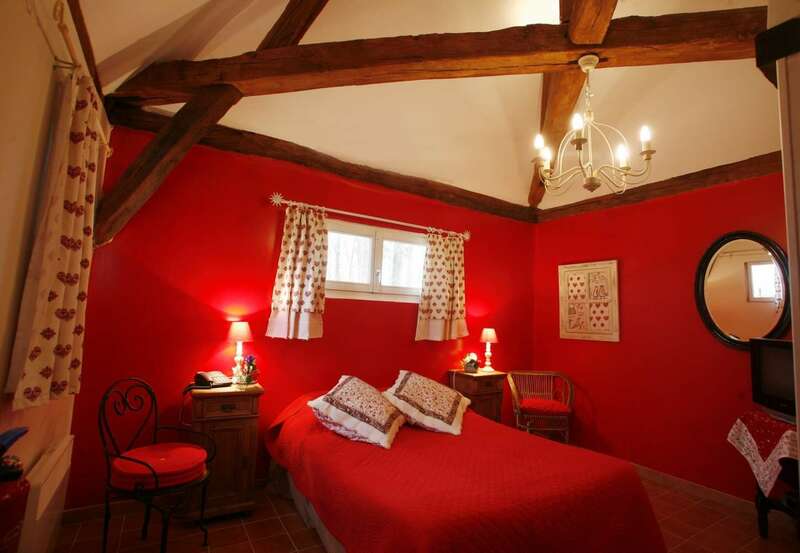 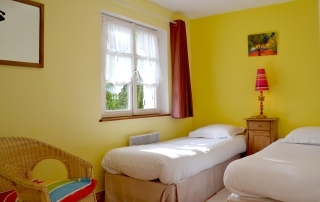 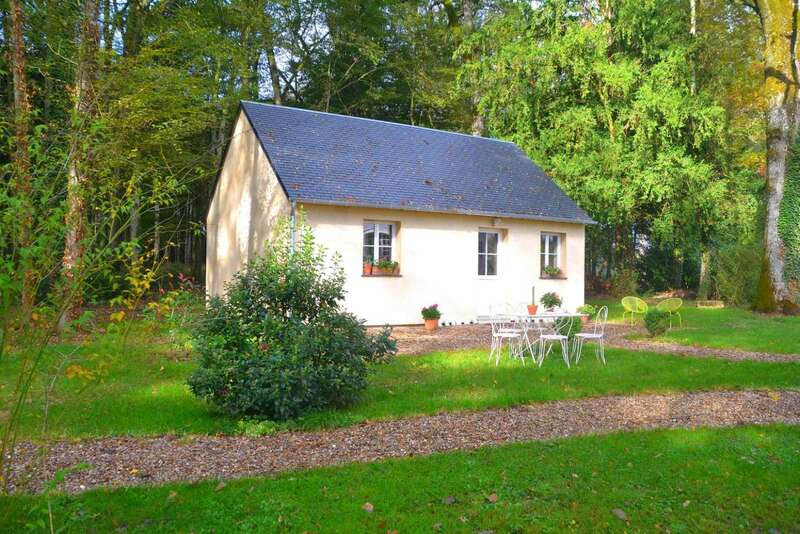 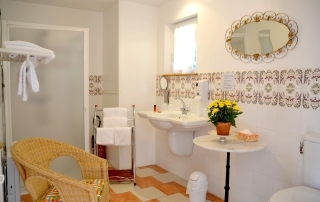 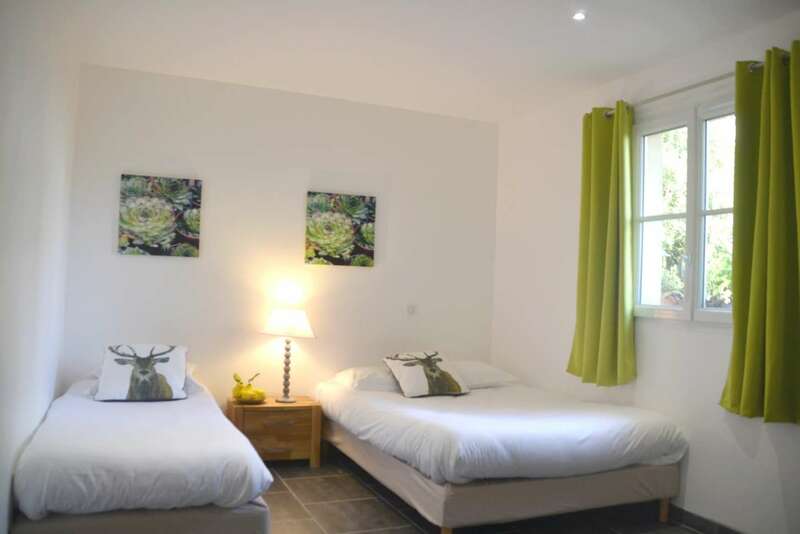 The Bergerie is a double room providing a romantic retreat for a couple. 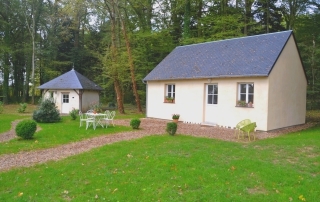 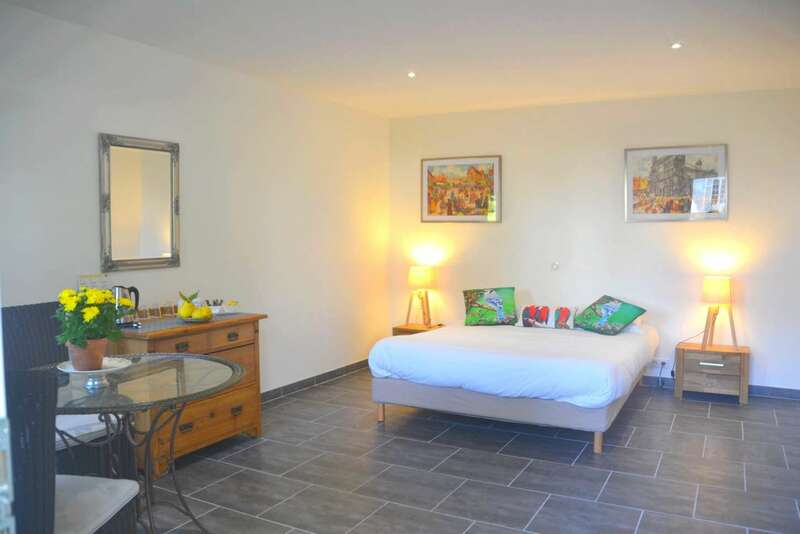 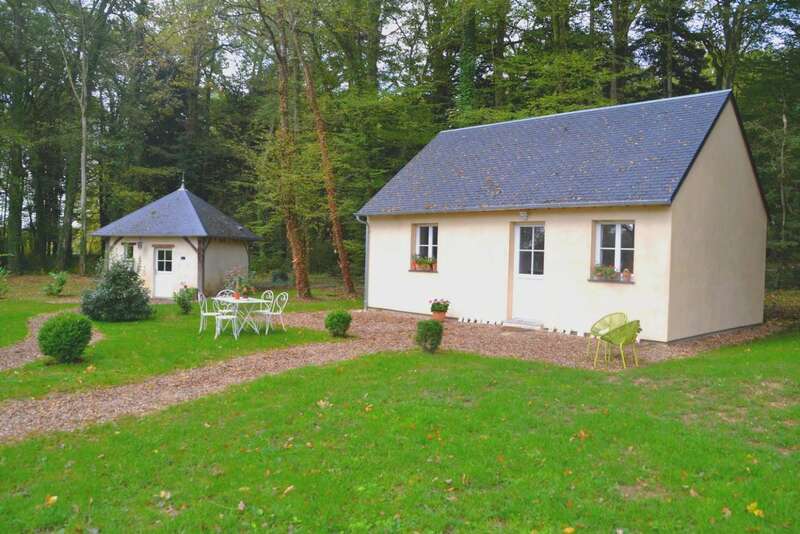 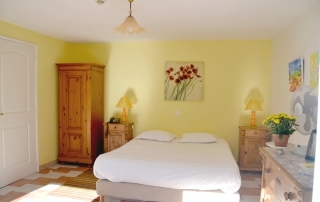 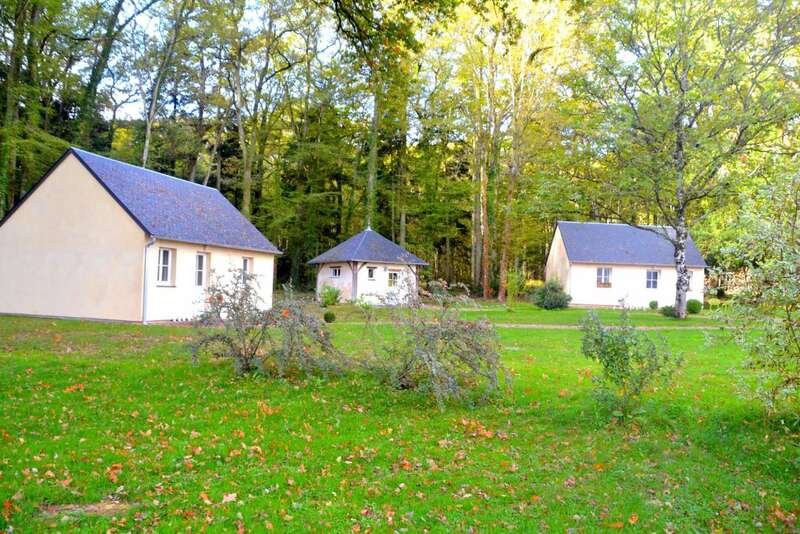 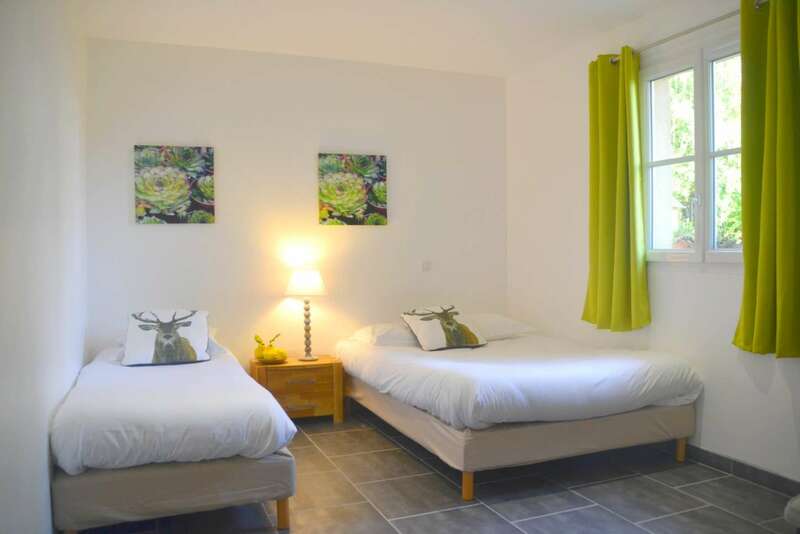 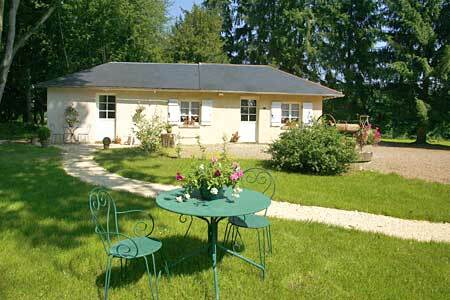 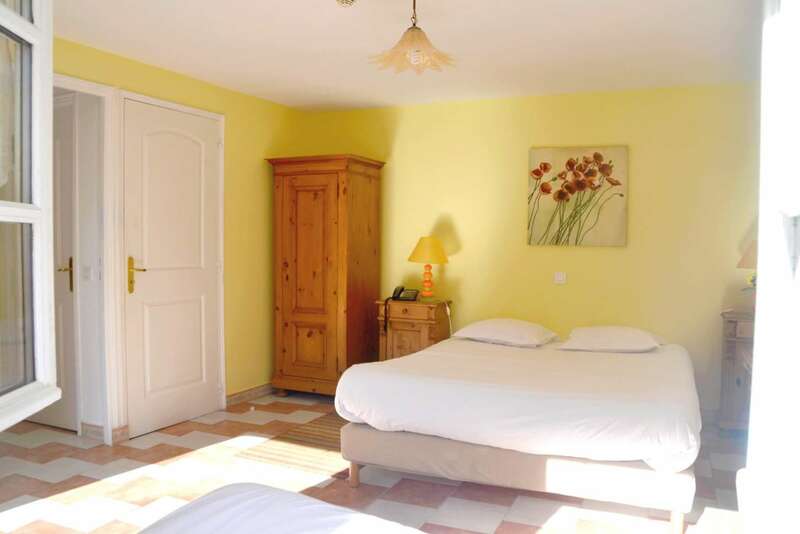 La Chouette (Barn Owl) is a room with a king size double bed and a single bed. 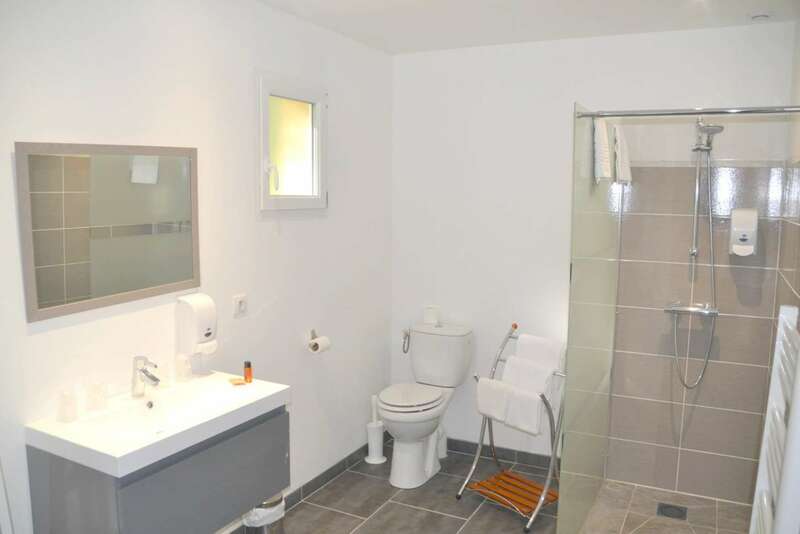 There is an ensuite shower room. 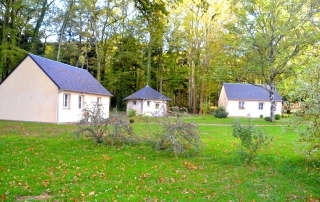 La Chouette is the left hand side of the photo. 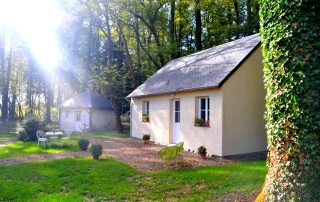 Les Mésanges is on the right hand side. 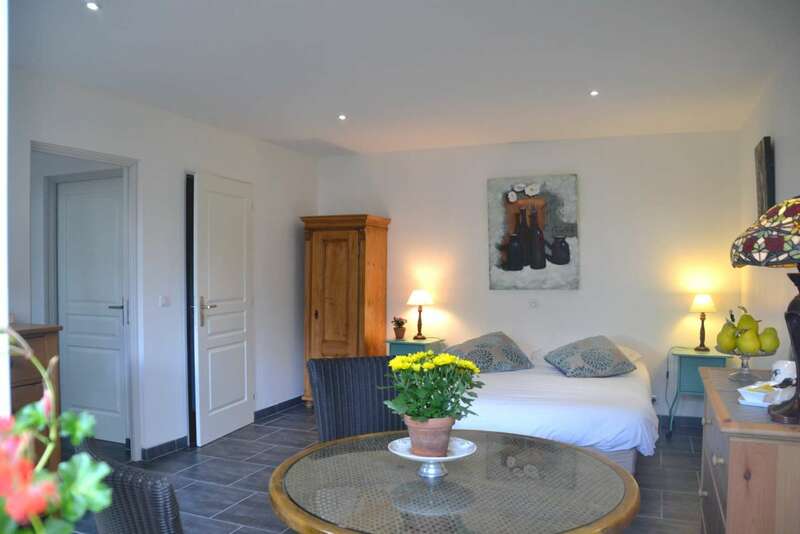 Family suite with two communicating bedrooms. 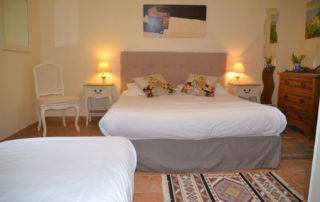 One large room with king size double bed. 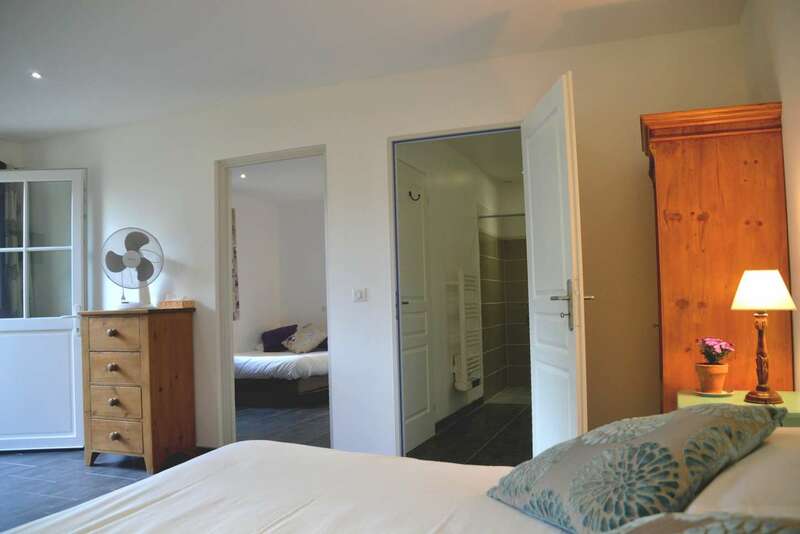 One small room with two single beds. 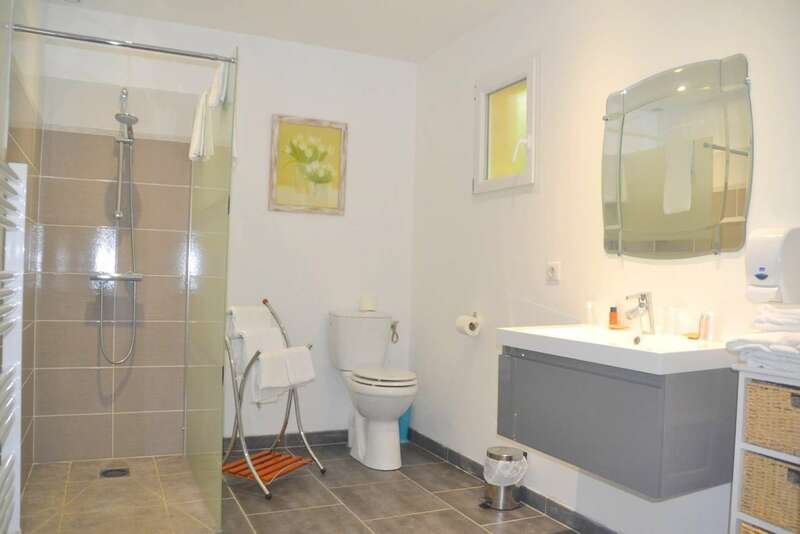 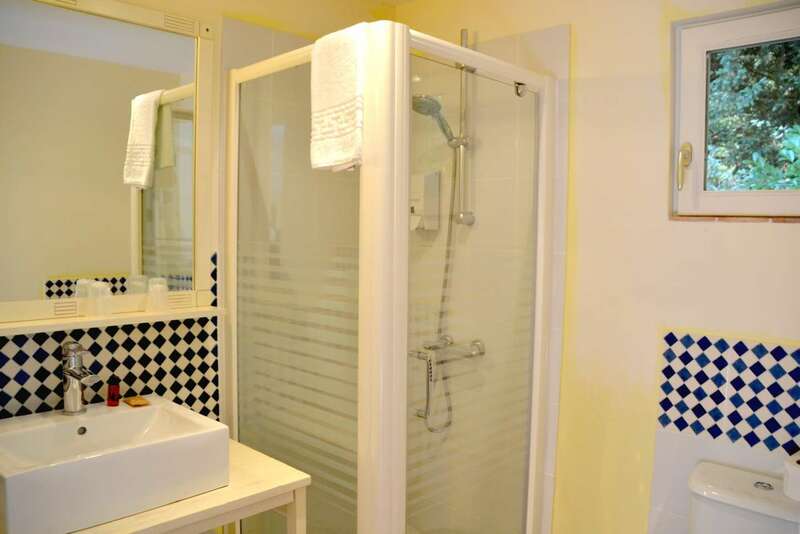 There is one large ensuite shower room. 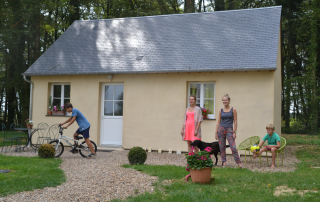 Les Mésanges is adapted for people with reduced mobility. 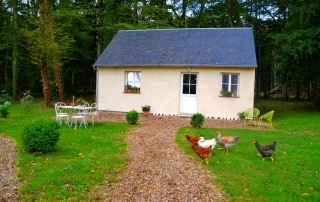 On the photo, la chouette is on the left hand side and les Mésanges on the right. 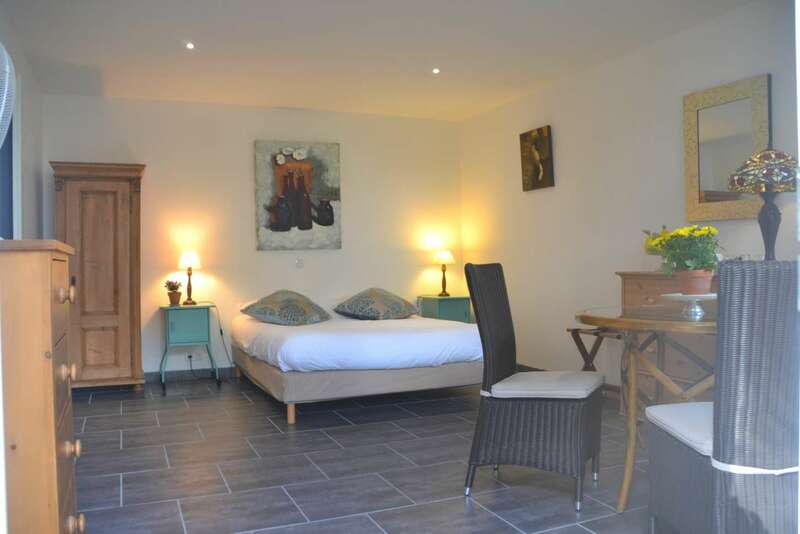 A maisonnette for two with king size double bed and ensuite shower room. 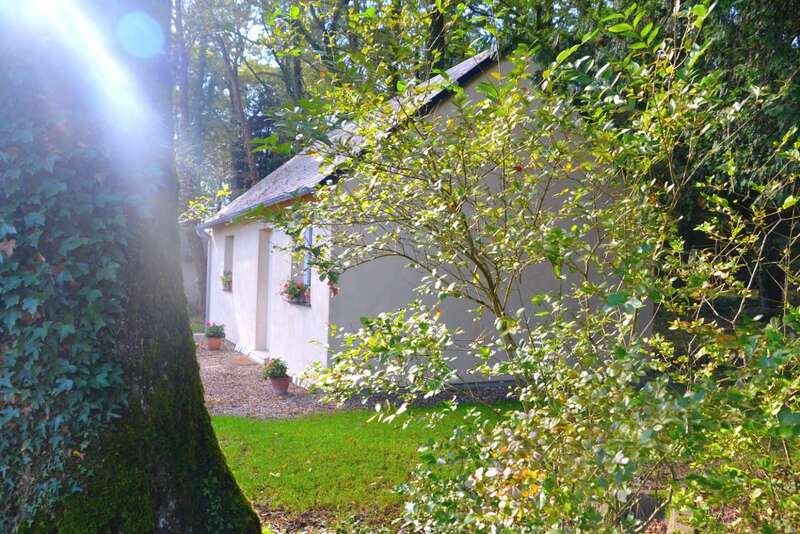 Tucked away in the wood it is an ideal romantic retreat for a couple. 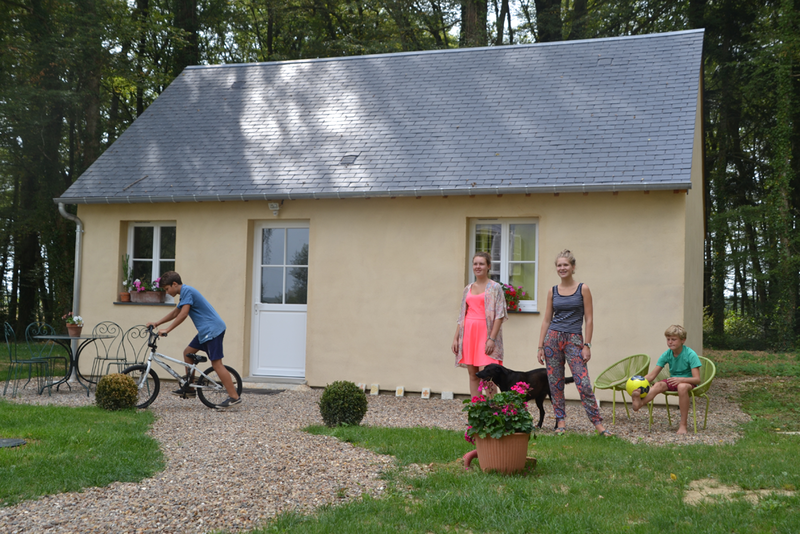 Realized in the summer of 2015, this large maisonnette measures 50m2 and can sleep upto 5 people. It consists of two communicating bedrooms; master room with king size double bed and a second room with a double bed and single bed. 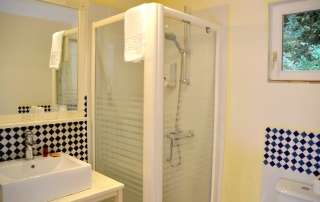 It has an ensuite shower room with walk in shower. 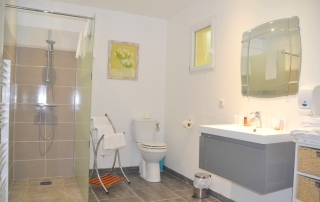 It is adapted for people with reduced mobility. Realized in the summer of 2015 this large maisonnette measures 50m2. 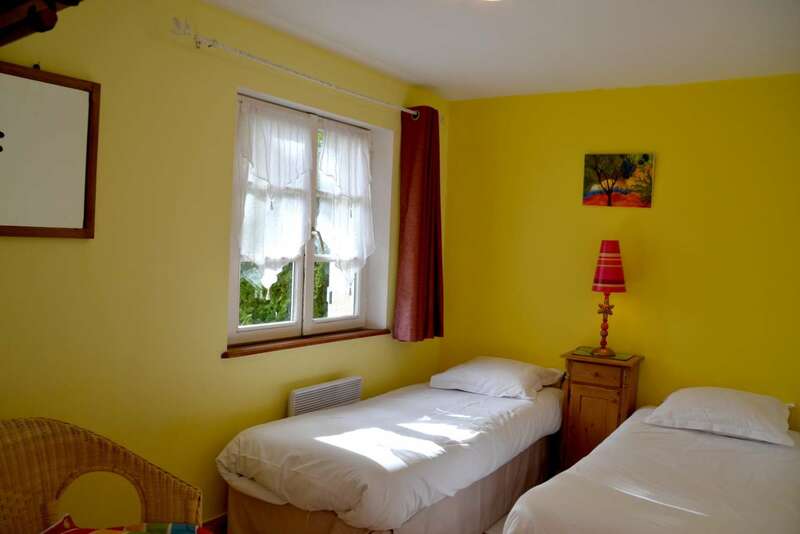 It can sleep upto 5 people. 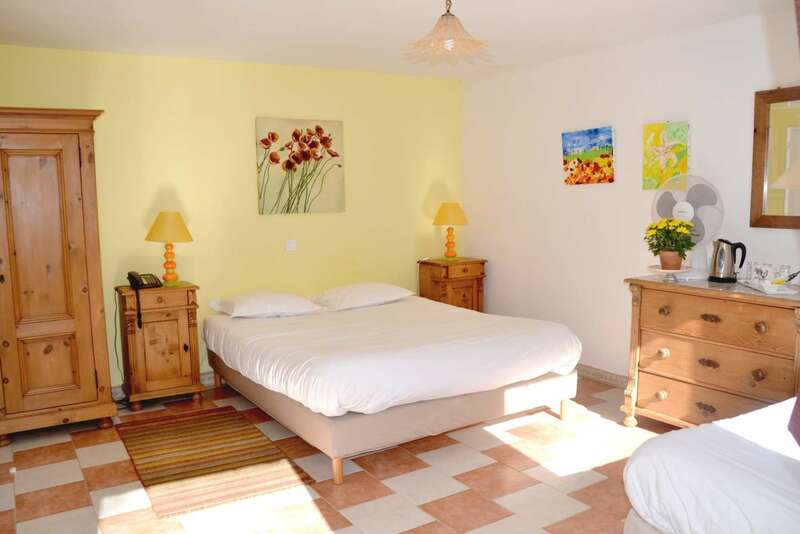 It consists of 2 bedrooms; master bedroom with king size double bed and second room with a double bed and single bed. 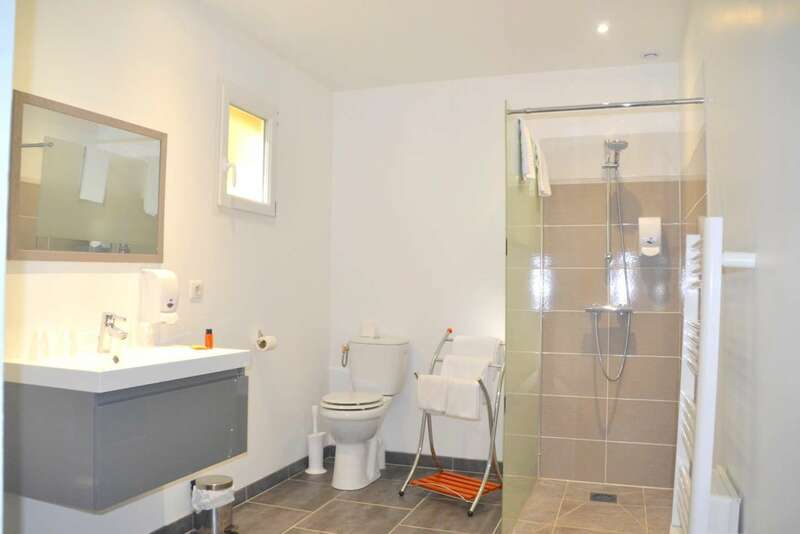 It has an ensuite shower room with walk in shower. 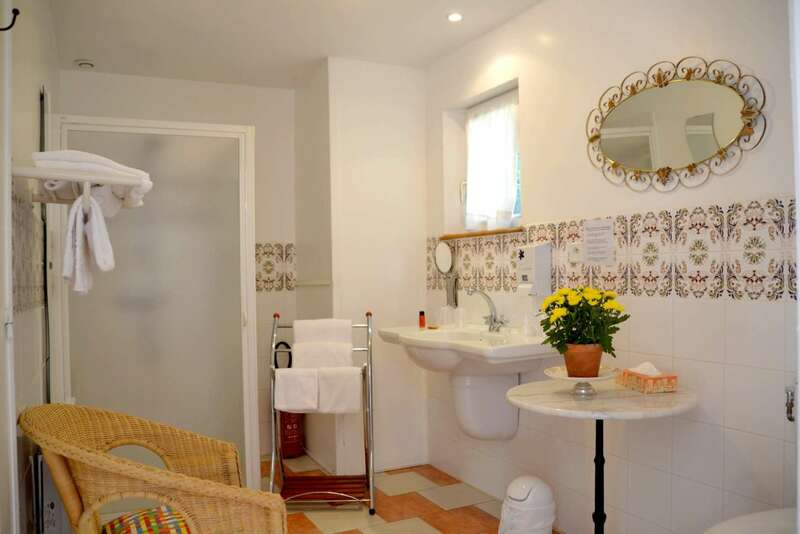 It is adapted for people with reduced mobility. Le projet de nos 2 nouvelles maisonnettes a reçu le soutien financier du Conseil Régional de Bourgogne et du Conseil Départemental de l’Yonne que nous remercions.